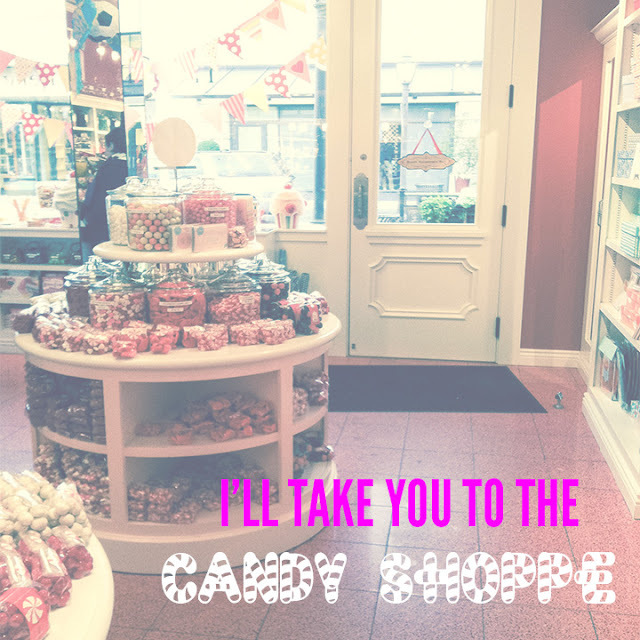 as mentioned in my over-treater post, i went to the most adorable candy shop in seattle over the weekend. and as also mentioned i wasn't allowed to take pictures i found out, but i had already taken like fifteen by the time the girl caught me. so here they are! can i get arrested for this? anyways, this kind of place really just puts me in the festive mood you know? it's like a scene straight of the fifty's but with more artificial sugars and redonkulously large price tags. 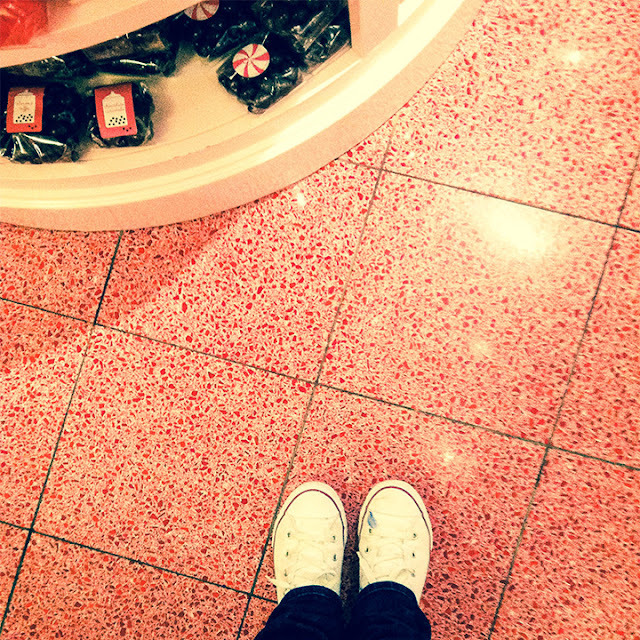 i was pretty into the pink tiled floors. and yes i'm cliche and constantly take pictures of my feet. knick-knacks are my shiz. 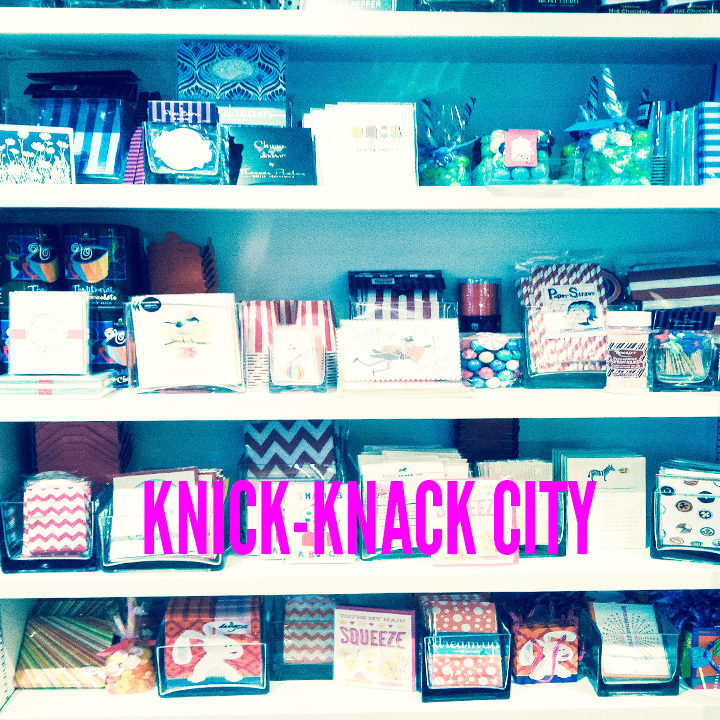 so the walls that housed shelves that housed knick-knacks galore was just a beautiful sight. i hauled in some gummy cinnamon lips and sugared cinnamon hearts. they are delightful. simply delightful. except they cost a small fortune (okay, five dollars. but there are only like ten of each!). so i will probably be settling for the good ol' cinnamon bears from the bulk bins. and also, is there such a thing as chocolate covered cinnamon bears? because if that's real, that is a market i'm interested in buying into. if you have any information on these this issue please comment below. Oh my gosh, that place looks SERIOUSLY amazing! 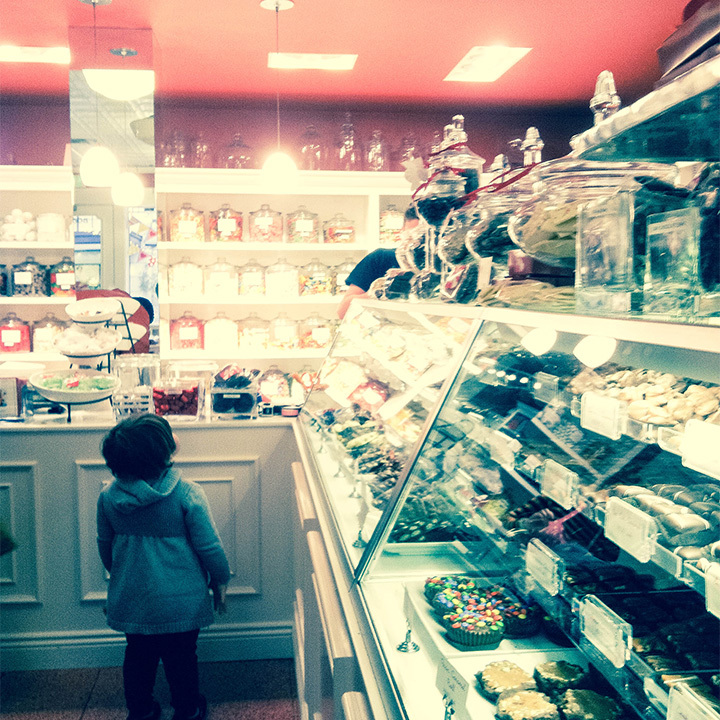 I love little olde sweet shops. There's one in the village my parents live in that makes their own sugar mice. So cute! It was definitely the cutest! Sugar mice?! I'm intrigued! Oh my! 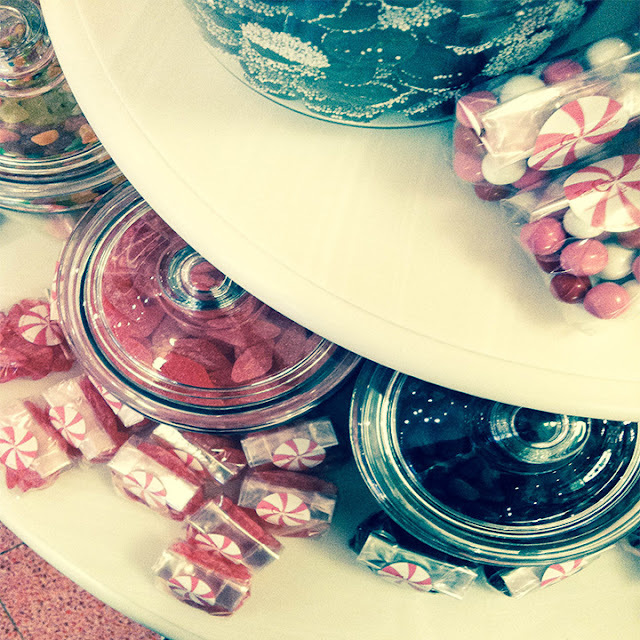 Candys! I would go crazy there. Hahaha! How could you not?